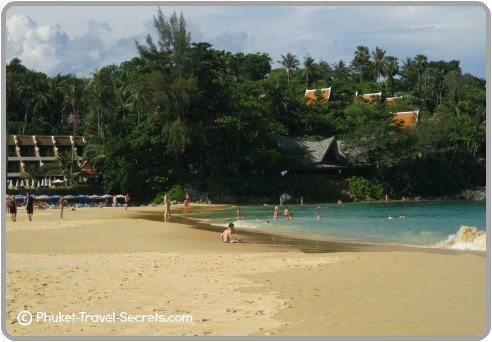 The best family beach vacations you can have are quiet often the most fun when you stay directly on the beachfront, in one of the many Phuket Beach Resorts. There is nothing like walking out the door of your resort to the feel of sand beneath your toes, or the sound of the ocean drift you off to sleep at night. 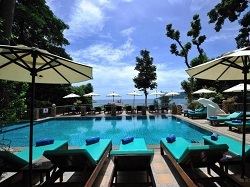 There are many benefits of staying in one of Phuket’s absolute beachfront resorts. The beachfront locations of these resorts are ideal for families to gain easy access to exciting and fun beach activities for the family. 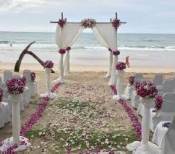 Many of these beachfront resorts are also ideal for creating a romantic beachfront setting. 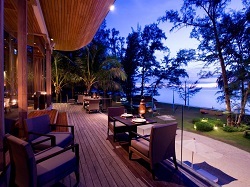 Some of Phuket’s best resorts and hotels can be found directly across the road from the beach. However, there is a wide variety of absolute beachfront resorts located on the west coast of Phuket for you to enjoy the best family beach vacations. Below is a list of some of the best and absolute beachfront resorts for your family beach vacations or that romantic getaway in Phuket, Thailand. The Beachfront Resorts we have listed below are from North to the South. 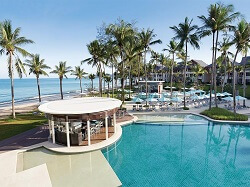 JW Marriot Resort and Spa is located on the beachfront, this resort has 3 amazing pools and a kid’s pool, along with a range of family fun activities and a kids club that offers lots of fun activities for kids. Read more on Agoda. 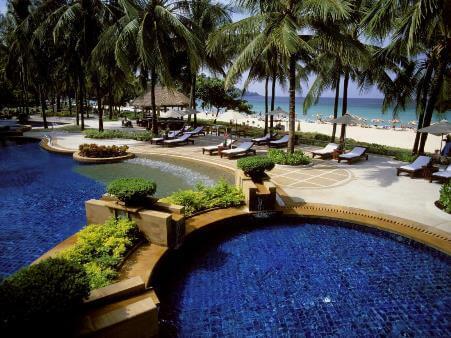 Renaissance Resort & Spa is located on the beachfront at Mai Khao. Facilities include, a swimming pool, jacuzzi, kids club, gym, sauna and spa. The kid’s club activities include movies, puzzles, books, Sony Play Station and an Internet access area. Read & check rates on Agoda. Sala Phuket Resort and Spa is a stunning deluxe pool villa resort, located on Mai Khao beach the longest and most untouched area in Phuket. The two bedroom pool villa suites are perfect for two couples traveling together or if you are planning a family beach vacation. Each suite has its own outdoor bathroom, plus a spacious shared living room overlooking the garden and private swimming pool. Facilities include two large beachfront pools and a kid’s pool. Read reviews and check rates on Agoda. Andaman White Beach Resort is located on the private and secluded Nai Thorn Beach with endless views of the Andaman Sea. This beachfront resort is perfect for honeymooners looking for a romantic getaway. The Resort also caters for family beach vacations with their two bedroom beach suites or a sea view duplex, which offers a master bedroom for the parents and a smaller room for the kids. There is a range of facilities including a swimming pool, water sports centre that offers diving classes and diving trips, snorkelling & canoes for rent, beach activities, gym and spa. Read more about this resort on Agoda. Angsana Laguna Resort offer lagoon villa’s or poolside rooms that look out over the lagoon pool. 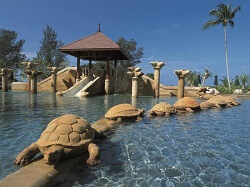 The kids will be kept amused as they swim around the pool that weaves its way through the resort. The kids will love their family beach vacations here and I am sure they will be delighted to see the baby elephants wandering through the resort. Read more reviews and check dates on Agoda. Outrigger Laguna Beach Resort would have to be the pick of the Laguna Resorts for the best family beach vacations in Phuket. 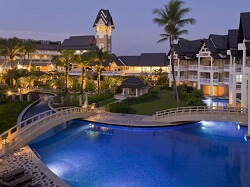 Dusit Thani Laguna Hotel is also located along the beachfront at Bangtao and is part of Laguna Phuket. The resort has a variety of fun activities for family beach vacations, from face painting for the kids at Busy Bee Kids Club or Rock climbing at Quest. Other fun activities for the kids and parents alike are pitch & putt golf, tennis, snorkelling, pool basketball, water polo, pool volleyball, or windsurfing. 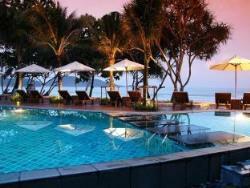 Best Western Premier Bang ao Beach Resort is located directly on the beachfront at Bangtao Bay near Laguna Phuket. Whether you’re planning a romantic getaway or family holiday, there’s something for everyone. Facilities include 2 swimming pools, pool bar, a kid’s pool, spa, gym, pool table for the kids and water sports. This absolute beachfront resort is great for your next getaway or family beach vacations in Phuket. Read more on Agoda. 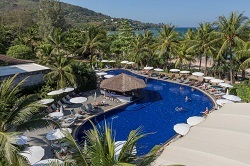 Sunwing Resort & Spa is another resort located directly on the beachfront and is one of the best resorts in Phuket for family beach vacations. The Resort is fully equipped for family vacations, with a variety of room types. From baby studio rooms, that have everything that you need when holidaying with a baby. Baby items include a cot, high-chair, stroller, baby chair, baby bathtub, plastic potty and much more. There are entertainment programs and a host of activities for kids of all ages. Facilities include swimming pools, two kids’ pools, playground, water sports, indoor games and spa. Read reviews and check rates on Agoda. The Surin Hotel is situated on the peaceful and secluded Pansea Beach, offering thatched cottages that are set in sheltered coconut groves and on the beachfront. The resort also provides spa services, dining venues, meeting facilities and recreational activities. The resort is rather hilly, and it is not suitable for young children or for people with walking difficulties. An ideal resort if you are after a romantic getaway on a secluded beach. Read reviews and check availability on Agoda. 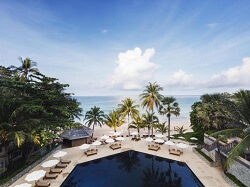 The Amanpuri Resort features 40 Thai-style Pavilions and 30 private Villa Homes, facilities include a swimming pool, spa, gym and tennis with a wide variety of water-sport. The resort is ideal for a romantic vacation. Read about the resort and check rates on TripAdvisor. Kamala Beach Resort is set on the beautiful Kamala beach; this hotel is perfect for couples wanting rest and relaxation as they have an Adult only Policy. If your kids are over 15 years of age, they can stay at this resort. Read more on Agoda. Thavorn Beach Village & Spa is located on the beachfront at Nakalay Bay. The hotel has a range of lovely villas and bungalows from one to four bedrooms some featuring magnificent views of the Andaman Sea. Facilities include two swimming pools, one of which is located on the beachfront, a kids pool, tennis courts and spa. Read more about the resort on Agoda. Impiana Resort & Spa is surrounded by nothing but the sandy beach and tropical greenery. This boutique resort is situated directly on the beachfront at Patong. 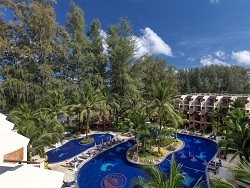 La Flora Resort Phuket is located directly on the beachfront at Patong and close to all the action of Patong. Facilities include two lap pools overlooking the ocean, a selection of rooms, suites and pool villas with a modern unique style. Ideal for your luxury vacation or romantic getaway in Phuket. Read more and check rates on Agoda. Patong Bay Garden Resort is location directly on the beach, in the middle of Patong Bay. Amari Coral Beach is located on a secluded private beach at the southern most corner of Patong, offering beautiful views of Patong Bay. Tri Trang Beach Resort is in an elevated position above the beautiful Tri Tra Beach. There is a choice of standard or luxury suites, with most offering ocean views. 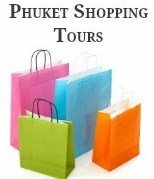 The resort has a free shuttle bus from the Hotel to Patong, 3 times a day. Read More about the resort on Agoda. 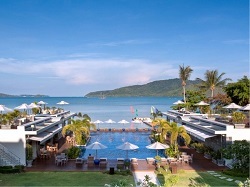 Marriott Merlin Beach Resort is located on the secluded Tri Trang Beach, only 3 kilometres from Patong. This beachfront resort has three beautifully landscaped free-form pools, a kid’s pool, and a baby pool. 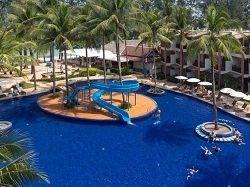 Le Meridien Phuket Beach Resort is located in a secluded cove called Relax Bay, only a 5 minute drive south of Patong an ideal spot for family beach vacations. The kids and parents alike will enjoy fun filled days, exploring, swimming or on the nine-hole mini-golf course. The resort is perfect for families wanting a fun game of golf without having to leave the resort. Read reviews and check rates on Agoda. 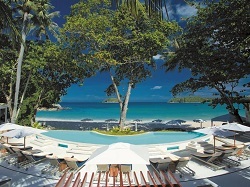 Beyond Resort Karon, formally known as Karon Beach Resort is set on the beachfront at the southern end of Karon Beach. 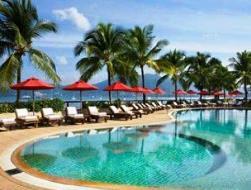 Facilities include two outdoor swimming pools with a shallow area for the kids, a pool bar with fantastic ocean views. All room have private balconies overlooking the swimming pool, and all offer spectacular views across the water. 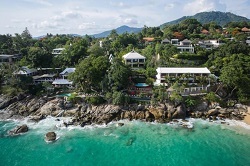 Kata Beach Resort is located on the beachfront at Kata, a popular destination for families. 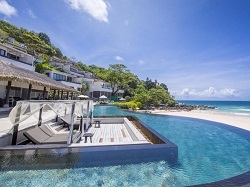 Boathouse Phuket is a luxurious Boutique Hotel located directly on the beachfront. Facilities at the Boathouse Resort include massage, jacuzzi and a choice of room types including, suites and pool villas, an ideal spot for a romantic getaway in Phuket. Read more on Agoda. 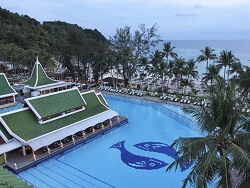 Katathani Beach Resort is one of the best resorts in Phuket for those looking for family beach vacations and resorts directly on the beachfront. We would recommend the Junior Suite if traveling with children. Mom Tri's Villa Royale is set in a great location, with stunning views across Kata Noi bay, guests can easily access the beach via the resort's private walkway. Landscaped into the rocks, overlooking the sea is a lovely saltwater swimming pool; there are also two fresh water swimming pools. 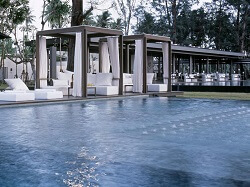 One of the best settings for a romantic vacation in Phuket. Read more on Agoda. The Shore at Katathani is pure luxury, providing privacy in spacious, well-appointed sea view pool villas with views overlooking Kata Noi. This is an ideal resort for that special occasion, romantic getaway or if you want to get away from it all. Read about the resort and check rates on Agoda. 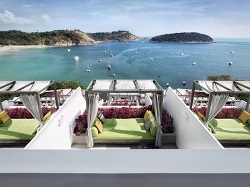 The Nai Harn is located directly on the beachfront at Nai Harn; this secluded resort offers an array of activities. 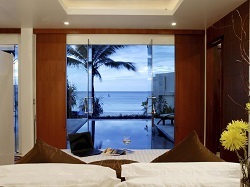 Each of the hotels rooms features panoramic views of the sparkling Andaman Sea. There are numerous activities to suit all tastes, including snorkelling, canoeing, windsurfing and catamaran sailing. The Nai Harn will provide unforgettable family beach vacations in Phuket. Read more on Agoda. Serenity Resort & Residences is located directly on the beachfront between Chalong and Rawai Beach on the south east coast of Phuket. This beachfront resort is fantastic for family beach vacations away from the crowds of the busier west coast beaches. Read more and check rates on Agoda.